Pros: It has a lot of features and already built-in integrations. In general terms it's easy to use and support team will always give a hand when needed (We have pretty complex dashboards and klips with +10 datasources in different formats). In terms of features they have all that we were looking after, it is a really complete solution and it works really well. There is plenty of documentation and support available to build your desired dashboard. Cons: If you work with large dashboards or complex klips it may be a little slow some times, but at this point I consider this more than normal. They have available services for dedicated resources if needed(Not our case). Dynamic datasources are in Beta stage. Although they usually work well enough (And again, you will have support helping in case they don't) it would be nice to have the feature finished and with all the needed interface to manage the different instances or setup the desired behaviour. Design has it's limitation too, but in general terms there is no need for much more, maybe some more user interface control elements for the klips. Overall: We have been using klipfolio for the last year and it has helped a lot our marketing team to know the situation in each moment, compare it agains other dates, etc. Support team has always been there when we got stucked in some klip configuration or behaviour. Pros: My trust for Klipfolio started on day one when I was researching which dashboard solution to invest in. CEO, was the person who introduced me to the system then trained me on how to use it. Klipfolio has grown leaps and bounds since then, and the software is more sophisticated and flexible, but I still receive exceptional support when I need it. Cons: At times I have been challenged with file size limitations with .csv files and third-party integrations. In both instances, a workaround resolved the issue for each and I was able to upload the data into Klipfolio to build the klips and dashboards. Overall: By turning data into a visual dashboard, Rooted Elm is able to support our clients in making smarter decisions about their email marketing program, identify gaps and enhance overall subscriber engagement. Cons: My main problem was with Klipfolio date filters. I have been struggling with them for a while, but then guys at Klipfolio help me out during our onboarding call. But they are doing best to get it better with every release! Overall: Easy to use, automatization of reports and nice visualization! Thanks them we are using our data daily. Pros: My team uses highly-customized instance of Salesforce as an internal project management system. We also have several other services, such as SharePoint, Google Docs, and others, where data is stored. We found Klipfolio in our search for a dashboarding tool that would allow us to integrate all of these services into a single view for our users across the department. The visualization components are pretty flexible and can be bent to fit your needs. The support team is incredibly patient and are never slow in responding to inquiries. Cons: The learning curve can seem a bit steep at first. While some data formulas can be easy to understand if you're familiar with some of Excel's more advanced features, there are others that are somewhat unique to Klipfolio. The documentation covers most of what you would need, and if you get stuck, the support team is very quick to respond and walk you through the solution. Comments: Since much of our marketing and such is done on social media, it's important to have integration with the most common platforms. Klipfolio does this, and also has a mobile app. To us, this is a major plus and one of the main reasons we picked the program. Pros: The fact that Klipfolio integrates with Facebook and Twitter was really the selling point for us. You can judge just by your figures, but with how prevalent social media is in running a business, you really need to have a program that pulls data from those areas as well. The mobile app is also very handy, especially if you want to check figures while on vacation! Cons: It took a bit to figure it out. The learning curve was pretty steep, but we managed to figure it out via trial and error. Now that we have, it's great! It might have helped to have a good tutorial to teach you how to properly use the program. While using lots of data, sometimes it can get a bit slow, but that's expected if you're working with a lot of data. Pros: I love the ability to connect to multiple data sources (and just about anything else), and the many out of the box klips that can easily be edited for our own needs. The extensive resources are also very helpful when getting set up or working with a more complex data source. Cons: Some of the easier tasks end up taking a little longer than I would like, and there are a few features that I would love for them to add (copying dashboards, etc) but it's hard to complain as they are great with customer feature requests and are constantly improving their product and incorporating them. Overall: I was able to pull together all of our data across multiple sources to create powerful visualizations that all departments could understand. 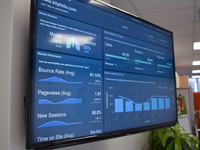 Showing dashboards on large screens throughout the office has really helped change and enforce the right behaviours. Pros: For me, the level of customization, scaleability of the platform, and top notch support make Klipfolio stand out among the other BI data visualization softwares out there. Cons: There are some very basic design elements that can take a little longer to implement in Klipfolio that are standard in most softwares. For example, at the time of this posting, if you want to add alternate row coloring to a table there are several steps involved to accomplish this and it's not at the click of a couple buttons as you might do in Excel, for example. Not a big deal since the feature is supported but it's more a matter of convenience for a basic design task. Overall: This software has been helpful for me personally in growing my business and has enabled me to help others manage and monitor the health of their own businesses as well. Pros: Create beatifully customizable dashboards and easily share and display it in your office, with your colleagues and take it with you in the mobile apps. There is a lot of different graphs, tables and other views to display your KPIs and It is a great tool to share with your team and keep them motivated to achieve the goals, I had a wonderful experience with that. You can very quickly integrate with your information in several different kinds of databases or softwares, including MySQL databases, Google Sheets, Asknicely, Pipedrive and etc. Cons: If you need to calculate something or making a complex formula to get to the right information to display can be very difficult, It is not so clear how each formula works, the articles don't explain everything you need. The support agents can help with in customer support chat but sometimes even them looks to have some trouble to find the correct answers and how to make what you want. Overall: Easily organize and beatifully display your KPIs. Excellent to keep your team motivated to achieve the goals. Comments: Good tool, great price and customer service second to none. This is not a battleship in the business intelligence realm, but a lighter, sleeker tool that allows a quick deployment and beautiful results. Pros: Customer service is excellent. They have a strong online presence for immediate help and a quick support team for trickier questions. Dashboard and widget (klips) presentation are very sleek. Configuration of datasources is painless. Access Managemenent is simple and sufficient. The pricing model is very competitive. New functionalities are constantly being rolled out. This tool is alive. Cons: For relational database users, there is a certain learning curve, as each column within a table is treated as an independent vector (unless you go through quick actions): it is easy to misalign data and get irrelevant results. Klipfolio cannot be considered as a full-fledged business intelligence tool as it does not perform 'intelligent' analysis of the data. Rather, it is a presentation tool that can display in many relevant ways, the information that it is being fed. Pros: I love the clear, customizable visualizations that can be created from a variety of data sources. I enjoy being able to create custom data sources and klips in addition to the pre-built options to build dashboards that provide our clients with exactly the information they need. Cons: There is a bit of a learning curve. The syntax for formulas and names of functions varies a little from Excel or Google Sheets, so it takes a while to get used to the differences. However, the customer service team has been wonderful at answering questions via chat and helping me achieve my desired results (and learn how to do things faster & better the next time). Overall: My team's clients enjoy seeing stats from multiple platforms all in one place rather than having to seek out information from each individual source. 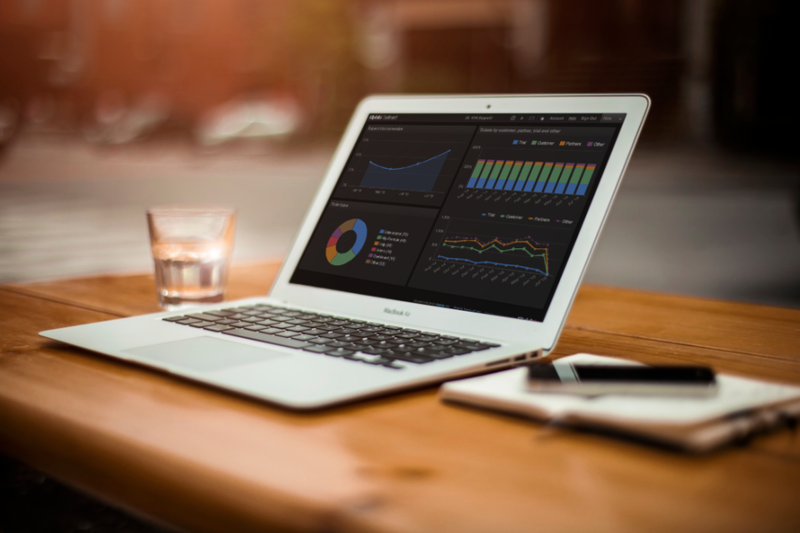 With all of the customizations available, our clients have tailor-made dashboards that are unique to their business and goals. We will likely be upgrading our account soon to have access to more dashboards. Thankful for the product and support that Klipfolio provides! Pros: The hight reach and potential you can have to do almost anything in a really easy way. Overall: We are on developing to authomatizate all reports and critical kpi wich were generated partialy manual saving more than 200 hours per month converted them to more analysis on statistics to take big decisions instead of generate those reports. Pros: The design aspect of building Klips is seamless and doesn't have a strong learning curve. Once you have the basics nailed down, you can begin to create Klips that never need to be touched again. Cons: The difficulty in sizing Klips to fit particular areas on a dashboard so that it fills your display screen the way you want it to could be improved, and I'm sure will be at some point. This is a VERY minor annoyance and considering the complexity of the product, is a testament to the quality of Klipfolio as a whole. Overall: Insight into operations that we were otherwise ignorant to. Ability to manage workload, goals, communication much easier than pre-Klipfolio days. Comments: While there's definitely a learning curve to this tool, the potential is amazing. Being able to pull data from all the different tools we have is invaluable. As a digital marketing agency, there's already so many pieces to manage, from client reporting to managing tasks to proving profitability to management. 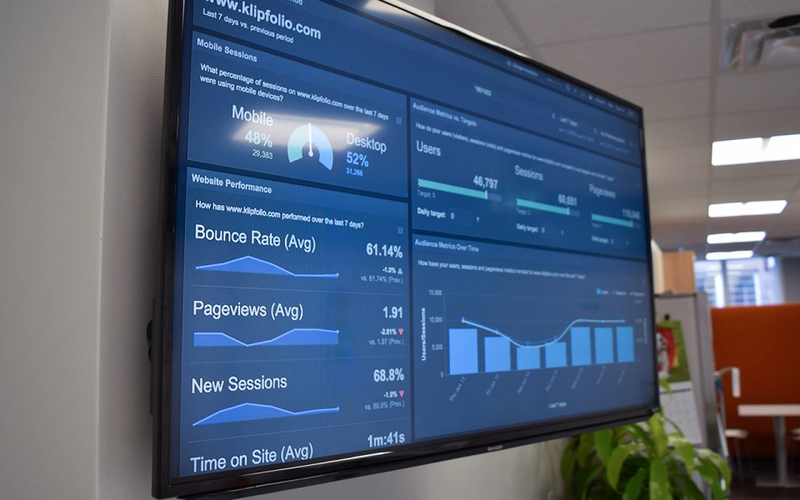 Klipfolio enables us to create central dashboards to not only provide superior reporting to our customers, but also get a clear picture of our internal performance. Pros: - Integrates with every (seriously, EVERY) service we use - whether it's for internal use or for clients (some of the more surprising ones would be Unbounce, SheerSEO, InfusionSoft - don't see too many platforms integrating with these). - Customer support is amazing. When having issues building a "Klip", they really help to figure out the best way to represent the data. - Haven't run into any times I can't make a visualization of the data I want. Just a matter of figuring out how. Cons: - Steep learning curve. From using tools like DashThis and Cyfe, it's certainly more advanced and requires more planning. Recommendations to other buyers: It's important to have a resource dedicated to Klipfolio who can learn the system, or just spend for the Professional Services to have their team build it for you. Their KlipStarts are great, but of course, can be very limiting depending on your own needs. And absolutely have your reporting requirements and some mockups ready to go for when you start building your own Klips. Pros: Of all the dashboard service platforms we looked at, Klipfolio was the easiest to get started and the most reasonably priced. If you are a small business or a startup that needs insights into your company growth (KPI), social media presence, and operational performance, you can quickly get there with this tool. There are a lot of sample and pre-built dashboards (like Facebook Engagement) you can simply reuse to start. There are also free online webinars and training video to quickly get you up to speed, and most impressive of all is their customer support. I was struggling to build a custom user growth dashboard from our own company data. The live chat support asks if I needed help and within 15 minutes, she built one of the growth charts to my specifications. Using her example, I was able to build the rest of the dashboard myself. I also like that the pricing is upfront and transparent, and the starter plan is reasonable for a small startup or business. Cons: Honestly, there is not much to dislike. If I have to nitpick something is to have more useful example and pre-built dashboards. For example, instead of just reproducing what Facebook Insights or Google Analytics already provides you, have dashboards that show what business questions can be answered or interesting insights can be gleaned from their data. Overall: As a startup, you need a quick and visual way to see how fast you are growing and how well you are doing (e.g. user growth, revenue, social media engagement, web traffic etc). Klipfolio allowed us to quickly build the necessary analytics, see and report it all in one place while keeping the service affordable. Pros: I love the customer support. It can be very taxing to get data from a variety of sources (CRM/ERP/Digital Marketing) into one chart so you can see correlations and patterns to improve on. Klipfolio customer support is the best customer support I have received from any software, not just a data visualization tool. They are all fully capable and happy to help. I got all my org's data into an executive dashboard in under a day, and it is now used several times a day by the senior management of the company. Cons: I think that they could do a better job of on boarding. Their documentation is great, and they are there to help every step of the way, but you have to reach out to them for that. Pros: The easiest way to connect with multiple apps by theirs API to get all data in standard formats like json and spreadsheet tables. All are well documented and the support is always there to help or improve your formulas. This tool let us raise quicker than we expected helping a lot with the partners program and certification for mutual synergy. Cons: Seems that their publicy reach me too late because i were looking for a tool like this since around 6 years ago and founded 2 years ago. Overall: Thanks to Klipfolio, we can have around 35 customers with their own authomatical dashboard to know in real time hows hes data of all the effort done during the campaings we made. This is saving a lot of time to us instead of generating manual reports. Pros: The reach and freedom that Klipfolio gives to implement what ever you need & want. Cons: That i found it to late, their ads reach me 4 years after i need it and have to reestructurate my team. I could raise faster if i know about it althought i were looking for a tool like Klipfolio. Pros: The amount of features and how customizable everything is. Most services lock you into their pre-made elements, and, although Klipfolio offers those, my love for it comes from how much control I have over the design aspects. Cons: Not a whole lot bad to say. At times it can be slow and take awhile for things to load, but that is more on the fact that my dashboards typically have a lot of visualizations so naturally they will take while to load. Overall: Custom reporting for clients that are highly customized and save me time every month. Pros: Let me set the record straight. Klipfolio is an amazing tool if you refuse to use Tableau and you have a new database set up with all the data piped in. The price point is what sold me to onboard it with my current agency, sadly we chose Datorama because the API settings are limited and without a Database Administrator the tool can be somewhat useless at times. Cons: No database to pipe in data from multiple sources. There are API connectors, but there are VERY limited. For example, Google DoubleClick's API won't let you pull 50% of the dimensions and metrics available in the reporting UI (Datorama's has around 80%, but they do a better job of implementing work arounds). Overall: I wanted this to be the Marketing Analytics tool that ruled them all but at the end of the data I through it in the graveyard with Tableau, DashThis, and TapClicks. Cons: Honestly this is a fantastic tool, especially for the money. For the sake of giving a proper review, the one Con I would have is that it isn't the easiest tool to setup without having a strong technical background. But the cost savings compared to building your own custom dashboard, versus using Klipfolio, make this a no brainer! Pros: I like how Klipfolio integrates well with complex data sources. The user interface is awesome and makes it easy to navigate around the Klipfolio dashboard very easily. Cons: Klipfolio has a long learning curve .Requires a new user to really stay committed to it every minute of the day ,maybe for the first three month.However the effort is worth it. Pros: The biggest pro is it's flexibility. From building custom dashboards, to adding data to their api that allows us to copy/paste and deliver many klips, datasources and entire dashboards to multiple clients at once. Cons: There is a learning curve. Getting started is really easy, but if you need more complex stuff, it takes some learning-by-doing to get the hang of it. It's like Microsoft Excel, if you need more, you need to practice. Pros: Biggest pro is the number of connectors. Klipfolio connects basically to every tool we use. Cons: Honestly, with a few weeks experience, I haven't jumped into anything that would have caused frustration. Pros: Kudos to Klipfolio support! They are simply amazing. The few times I've had issues requiring support, they have been prompt, knowledgeable and extremely helpful. Cons: Over the years that we've been using Klipfolio, we haven't encountered any issues that support didn't help with in a timely manner. I honestly cannot think of anything negative about this software. Comments: It is a great product that you can follow your key metrics and you can easily understand your product's success possibility. Pros: - There are lots of easy ways to configure your dashboards. - Too many integration options available. Cons: - Some integrations like Vimeo requires developer abilities. - If Klipfolio do not support your tool then you must read and develop some abilities to make integration happen. Pros: Klipfolio comes with an huge library of already made Klips,which I am able to add to my dashboard with just a click. It also has an advanced engine from which users are able to build their own personalized klip. Klipfoli has a great support team behind it ,who are always available to render assistance to users ,upon signing up for the service. Cons: Impressed with the quality of service from Klip thus far . Only wish there could be a freeze-pane function when extracting data from large spreadsheet files. Comments: Klipfolio has really expanded its reach over the last year by catering their platform to handle just about any amount of data from any source. The low-bar to usage and simplistic approach makes this system a no-brainer for any organization that needs to have better visibility into their operational data. The challenge facing companies these days isn't the need to see the granular aspects of their data... far too cumbersome to manage and let along deploy. Klipfolio is a no-brainer for any the most complicated needs. Cons: -Still Need More Development Around Dynamic Sources (this is a feature of Klipfolio) - This feature ensures that the load and amount of data being pulled into the system doesn't break the system if you have TB of data to access (which is our case) -It Is An Operational Dashboard - Don't try to look at this system as an analytical dashboard. Drill downs are miniminalistic. -Partner/Client Features - Klipfolio is still developing their client portals to behave and act the way partners expect them to. Pros: Get started quick and easy. Ready-made dashboards and connectors to a lot of databases etc. If that is not enough, you can easily create own datasources (I use Excel, ODBC and Google Drive) and you can build both simple and advanced dashboards with the KPI's that are relevant to you. Cons: I have yet to find any real Cons. I would love to have ready database connectors to the CRM and ordersystem, that we use but as I have already build a source myself, this is really not a "must-have". Comments: The support team at Klipflio are amazing. From helping with new charts to fixing simple grouping errors, nothing is too much trouble and they are always quick to respond and help us. They have really helped us bring our data to life and saved many hours of working with excel. Thank you so much. Cons: You do need to know a bit about how to select, group and chart data if using SQL queries like we are, but the support team is fantastic. Pros: The ease of use is amazing and the nice visuals are definitely a plus! Not to mention the incredible and fast support given by the customer service team. Cons: I think they need some improvement in the in the klip editor, specially in the formula section. Its a little bit crowded with information and could use some redesign. Pros: Allows different tools to be combined into useful data visualization formats are really cool Basic knowledge of databases and you are adding klips! Cons: It would be helpful for the non-application developers to have more concrete examples of the queries. Like if i want to show all columns in this week, give that syntax. Trying to bring together the results of different aspects of our business. Pros: We use so many important information to manage the sales process and inform our team in a Screen panel where they can perform better. This is crucial for our success. Cons: Setup was a bit challenging, but once we got the dashboards setup how we wanted... we let it do it's thing. Overall: Trying to bring together the results of different aspects of our business. Now, our development team and the business side can see each other's results at a glance, and have a quantifiable, and real-time goal to work towards. Klipfolio is incredibly versatile tool and still simple to use . Me and my clients love it ! Pros: Integration with most of the popular business tools, easy to work with , very responsive and professional technical team to help you learn the tool faster. Cons: Klip editor is upgraded few months ago which makes coding a bit complicated . Earlier interface was more intuitive and easy to work with. Comments: For small sized data driven companies, I would recommend using Klipfolio as quick and reliable reporting solution for short and mid-term reporting solution. Pros: With its multiple drivers for external data sources connexion, Klipfolio allows you not only to connect the data and integrate it, but also to clean up and manipulate it while loading it from different data sources. The mobile app also is amazing to keep track of the numbers at any time and from any device. Pros: Various connections with data sources possible, which makes it great for combining data from these data sources. For example, we can combine FB campaign data with analytics statistics (like sessions, transaction ID etc.) by matching the campaign name. Overall: It has greatly helped us visualize our data, goals, and overall performance. Pros: The vast array of choices to connect to. Helpful support staff. Much better than other alternatives we have used in the past. Cons: Learning the Klipfolio formula language can be challenging. Some data sources can be difficult to connect to, which is not necessarily Klipfolio's fault. Cons: Somewhat steep learning curve and some menu items buried or not intuitive. No top alignment formatting tool in column displays in Klips is a bit irritating. I have been advised that it can be fixed pro grammatically but it would be better to have that functionality built in. Pros: This is a great product to stay organized! My company is a computer software company so we have integrated with Klipfolio to pull data throughout the day so at a quick glance on the screen, we can see where our numbers are at. We have the ability to customize the dashboard in order to reflect each department of the company. Cons: With each dashboard there is a lot of space to fill, it is not necessarily a downfall. It is just finding what works for the space and what does not. Overall: Klipfolio is a great way to easily read data that is coming through your software to easily read through a screen. 2. 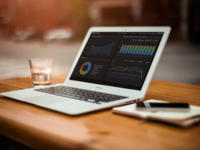 The easiest method to implement complicated dashboards. Overall: I have been working on Klipfolio for 1 year. It is the best tool for startups and middle-level enterprises. I have recommended many of my clients to use Klipfolio rather than any other platform. It is the easiest and beautifully made. Pros: It took me a bit of time to understand all the data connections, but if I ever had any questions, the support team were available, and were able to help guide me through to the solutions. For a small company, with no other technical expertise, this support was what helped complete our requirements. Cons: Can't do everything you want - but what product can. Once you understand how the data connections work, and the format of the parent/child nodes, you will find it relatively easy to use. It took me a bit of time to understand (and use) the parent/child nodes. Pros: All the complexities are hidden under simple and elegant UI. You won't have to worry complex technical tweaks to pull data from different sources. Their documentation and support are supurb! Cons: Rarely I find some data sources not compatible with klipfolio. FOr example- they only allow oAuth based authentication for only their listed data sources. Overall: I have been using it for business intelligence, and company data visualization. Comments: For almost two years, I've used Klipfolio to build dashboards, audit reports and scorecards. With over 100 Klips and several hundred components (graph, table, gauge, etc), I'm still amazed by some of the new features that come from Klipfolio. Klipfolio is an exceptional tool. For a long time, people at my work believed we'd need to dump data into a data warehouse in order to get it to relate. With Klipfolio, I can tap directly into multiple types of data sources and get it to speak to one another without a data ware house. This is huge and eliminates a major barrier to getting and using data. Visually, Klipfolio shines and is naturally attractive. Android and iOS recently underwent design changes in the new versions of their software. Klipfolio was ahead of the curve, having their modern colors and clean designs even before these updates. As a result, the dashboards look very modern. Pros: The Klipfolio tool has given us exceptional insight into our firm's data trends. We're a growing software company with over 20 team members currently. In our line of business its critical to keep your finger on the pulse. Klipfolio allows us to get real-time data into our dashboard and see not only past but future trends which we use to make extremely critical business decisions. In the past, our approach was to take snapshot reports from the past and act from stale data. I can't imagine going back to that method. Cons: There is honestly not a single part of Klipfolio I'd say is bad. I would say it has a learning curve, but the Ninja support team at Klipfolio has been amazing at walking me through the process, and in many cases doing the work for me. I can't say enough how much of a great experience we've had. Special shout out to CSR from the Ninja support team! Pros: We can afford it! So sensibly priced when other software is prohibitively priced. Loads of features and integrations. Cons: Nothing to dislike about this. It does everything we needed. Quick, easy, live and interactive. What's not to like? Pros: You get all your metrics in one place. If what you're trying to connect has an API, you can connect it. All visualizations are interactive. The support is quick and knowledgeable. Cons: Creative visualisations aren't included in the box, though you can connect to libraries and implement them yourself. Overall: We save a ton of time by using Klipfolio. All our reports are now automated. Pros: Great visualisation tool, excellent customer service, continuous improvement of the tool by their team, always happy to help and to support which is great! It is very easy to learn as they provide lots of videos and articles which support the learning process. Cons: The learning curve was quite high at the beginning and sometimes feels like you won't get there but at the end you do and it feels amazing. Some product features still further development like versatility in design, formatting and so on. The friendliness and responsiveness of the support team. We're a european based company, and the support team is almost always online no matter of the time of day and they always find a solution for me. Overall: We get insights into how we are performing as company and individuals based on the KPI's created and displayed by the software.